DPR announced changes in January to its pesticide air monitoring network operated in cooperation with the California Air Resources Board. The changes include increasing the number of monitoring sites from six to eight, relocating two sites closer to fields, and monitoring 31 pesticides and 5 breakdown products at all 8 sites. 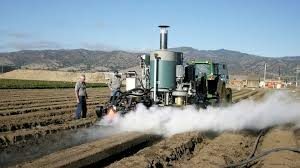 A press release announcing the changes stated that "[t] he expanded air-monitoring network will allow DPR to obtain more data from more locations and give a more comprehensive picture of pesticide concentrations in the air in various California agricultural communities." The changes are the result of months of consultation with CPR coalition members, who had advocated for better use of limited resources. "We're grateful that DPR listened to the many residents who showed up to demand better data," said CPR Co-director Sarah Aird. "It's critical that DPR's monitoring program reflects the actual exposure experienced in communities." The changes to the program take effect immediately, and will continue until the program ends in December 2018. Chaos at the US EPA looks certain to derail action on Dow's brain-harming pesticide chlorpyrifos, which was headed for an all-but-certain federal ban in March. In October, t he US EPA affirmed its intention to effectively ban chlorpyrifos for all agricultural uses, effective March 31 . In light of the hostility to environmental regulation demonstrated by the Trump Administration, it now seems certain that the federal ban will not be implemented. It is therefore imperative that California pick up the slack and move forward swiftly to end the use of a chemical that was banned for home use 16 years ago because of its neurodevelopmental health effects - including autism, ADHD, and IQ loss. California uses 1.3 million pounds of this drift-prone neurotoxin per year - more than 20% of the nationwide total. If the Feds won't do it, California must lead the way. It's not looking good for Monsanto's blockbuster herbicide Roundup, the colorless, odorless staple of household weed control in 160 countries - and not surprisingly, the chemical giant is fighting back. In 2015, the International Agency for Research on Cancer (IARC), a Lyon, France-based branch of the U.N. World Health Organization, classified Monsanto's Glyphosate (sold as Roundup) as a "probable human carcinogen." 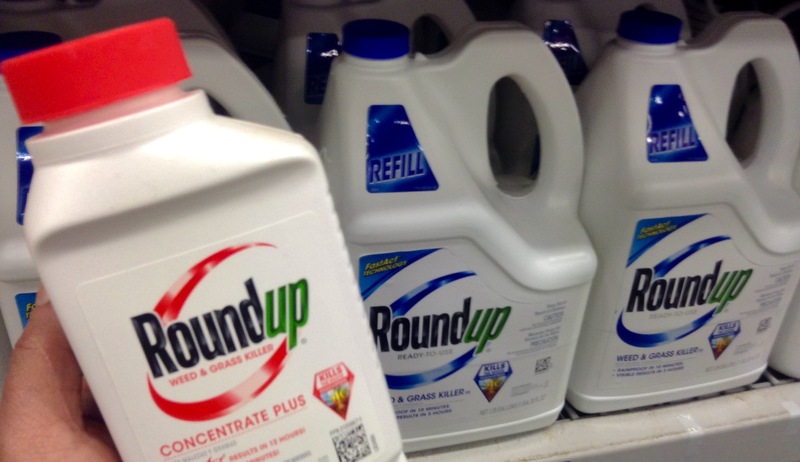 Shortly after, citing the IARC as the gold standard for identifying carcinogens, California moved to protect consumers with new labeling requirements for Roundup - and was promptly slapped with a lawsuit by Monsanto. Last month, a judge rejected Monsanto's argument that such labeling would impact sales - uh, duh - thereby allowing California to proceed with new health-protective regulations. Monsanto's next salvo was fired by the trade group American Chemistry Council, which launched a new campaign in January called the Campaign for Accuracy in Public Health Research. It was quickly clear that the campaign's actual goal is to undermine the credibility of the IARC and to smear the reputation of its scientists. Meanwhile, CPR's organizers are galvanizing local opposition to the unchecked use of this ubiquitous but not-so-harmless chemical. In the Central Coast, the board of the Pajaro Valley Unified School District just passed a ban on its use on school campuses, and other schools and cities are weighing a similar move. CPR and PAN joined a Ventura County farmworker in a lawsuit filed by California Rural Legal Assistance (CRLA) attorneys in the Superior Court of California, County of Alameda last week against DPR for its failure to follow the recommendations of scientists and provide public review for the regulation of Dow's Prop 65-listed carcinogenic pesticide 1,3-dichlorpropene (brand name: Telone). The chemical has a long history shrouded in secrecy, including reintroduction to the market after being banned more than 25 years ago. "State officials ignored science and shirked public oversight as they ensured the continued and potentially expanded use of this cancer-causing pesticide," said Natalia Ospina, an Oxnard-based attorney with CRLA representing the farmworker plaintiff. "This blatant regulatory failure continues to put rural and farmworker communities in harm's way." Specifically, the lawsuit first charges that DPR did not follow normal public procedures in developing new rules for Telone, "including public notice, an opportunity for public comment, [and] a response in writing to comments." Second, the suit charges that DPR's underground regulation is not based upon the recommendation of state scientists at the Office of Environmental Health Hazard Assessment (OEHHA), and is in violation of a state law that requires DPR to work with OEHHA to develop health-protective regulations. Instead, DPR chose to ignore OEHHA's concerns regarding the adequacy of the new permit conditions, or rules for regulating pesticides, "including revised application limits and air concentration standards to protect nearby residents and workers from cancer risks." DPR rejected the evidence put forth by state scientists about multiple ways in which Telone gets into bodies at harmful levels; it also overlooked science indicating that children are more vulnerable to its health hazards, and that Telone, in combination with chloropicrin use, is more damaging to health. OEHHA recommended a "target concentration for mitigation" for Telone of 0.10 parts per billion as opposed to DPR's new relaxed 0.56 parts per billion standard. DPR's new standard was the basis for the contested January 1, 2017 permit conditions loosening the annual "safety cap" amounts of Telone per 6 x 6 mile township from 90,250 pounds to 136,000 pounds. The plaintiffs call for revised regulations and for a new process complying with Government and Food & Agricultural Code, including "regulations that relate to the health effects from 1,3-D [Telone] based upon the recommendations of OEHHA and in concert with OEHHA so as to satisfy their joint and mutual responsibility." Plaintiff Juana Vasquez, a farmworker in Ventura County, is concerned for other farmworkers and for her children who attend schools near fields. "I want the agency to follow the laws and not to overstep so that the community will not get sick. There are many people who work in the fields that are at risk of getting sick because of pesticides. I am also worried that my children ... are more vulnerable because they are underage and ... pesticides could hurt their health." Banned for agricultural use in the European Union since 2011, as well as in California between 1990 and 1995, Telone is the third most used pesticide in California by pounds and the second most used "pesticide of public health concern" near public schools. Telone is a pre-plant fumigant, injected into the soil at high volumes, that is prone to drift for days after and miles away from its application. At its three pesticide air-monitoring school sites (Rio Mesa High in Oxnard, Shafter High in Kern County, and Ohlone Elementary School in North Monterey County), DPR found concentrations of Telone far above the health protective lifetime cancer risk level recently recommended by OEHHA. "Mothers like me want to live to see our children grow up," said Ms. Vasquez. "If we get cancer, our children will be left without mothers, without fathers."